Blue Pacific Solar has provided all of the main parts you will need for your 8160W solar kit. Here are some additional items that your may need prior to installing your package. Conduit, appropriately sized electrical wire from the array, some fasteners and grounding rod and wire. Building and installing your own home solar system is not only the smart choice for controlling your expenses, it may be on the most satisfying DIY projects you ever have undertaken. 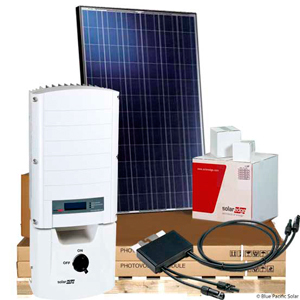 This SolarEdge 8160W Solar Kit is an affordable expandable do-it-yourself (DIY) high quality solution for your home or businesses energy independence.